Join us for our our exciting and very busy event filled 4-day bus tour from Toronto to Chicago over the Canada Day long weekend from June 28 to July 1st. We leave on Saturday morning from the Toronto area, stopping for lunch and dinner along the way and arrive at our hotel in Chicago on Saturday evening. We spend Sunday and Monday touring the Chicago area. Tour highlights include taking in an architectural Chicago river cruise, going up to the viewing deck of the John Hancock Tower and trying out their new Tilt viewing platform (Oooooh... not recommended for those with a fear of heights! ), a private tour behind the scenes of Wrigley Field, the home of the Chicago Cubs, a tour of the world famous Shedd Aquarium and an evening of dinner and classic Chicago Blues music at the iconic Kingston Mines. 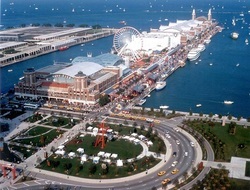 You also get a guided tours of Chicago with a local tour guide. 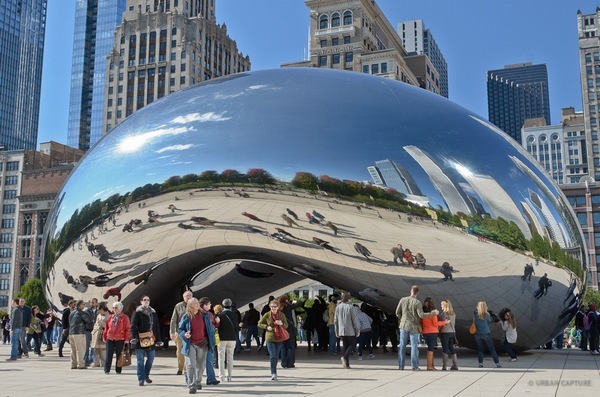 Stops include Navy Pier, Millenium Park (yes, you can have your photo taken with the "bean"), shopping along the Magnificent Mile. Water Tower Place mall and so much more. You will need to sleep when you get home! We check out of our hotel on Tuesday morning (July 1st) and return to Toronto on Tuesday night. Three nights hotel accommodations in the Chicago area. Guided bus tour of Chicago included. Admission and ride to the top of the John Hancock Tower, included. A hair raising ride on their new viewing platform called "The Tilt" included. Admission and a private "behind the scenes" guided tour of Wrigley Field included. 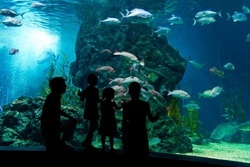 Admission and self-guided tour of the world famous Shedd Aquarium included. Check out the very cool jellyfish display! Narrated 75 minute architectural boat cruise along the Chicago River included. Learn more about the unique architectural heritage of Chicago. 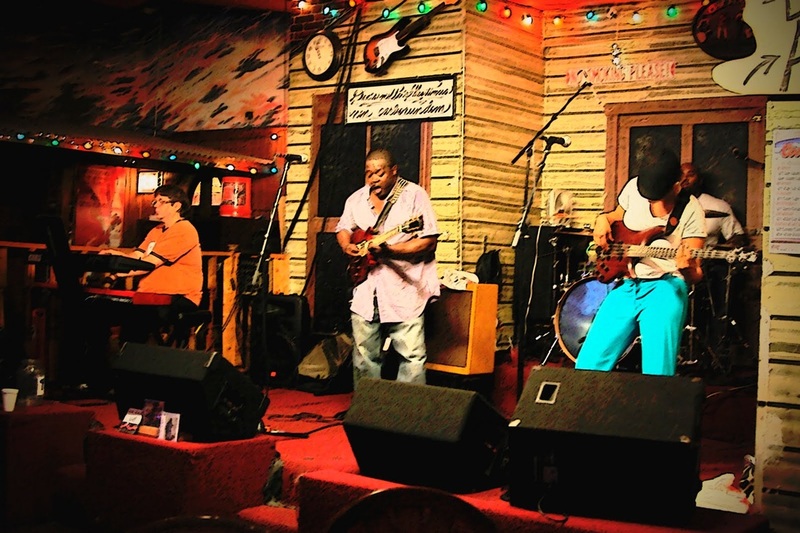 Admission, southern BBQ dinner buffet and live Blues music at the famous Kingston Mines included. Complimentary bottled water, pop, juices and snacks during bus journey included. Additional pickups can be made in Kitchener and London along Hwy 401 if requested. We return to Toronto at approximately 10:00 PM on Tuesday night. 100% full refund if you cancel 30 days before the trip departure date. 50% refund if you cancel at least 14 days before the trip departure date. The Shedd Aquarium is the largest indoor aquarium in the world and contains over 1,500 species including 25,000 fish, marine mammals, birds, snakes, amphibians and insects. It also contain 5,000,000 gallons (19,000,000 l of water. It was the first inland aquarium with a permanent saltwater fish collection. 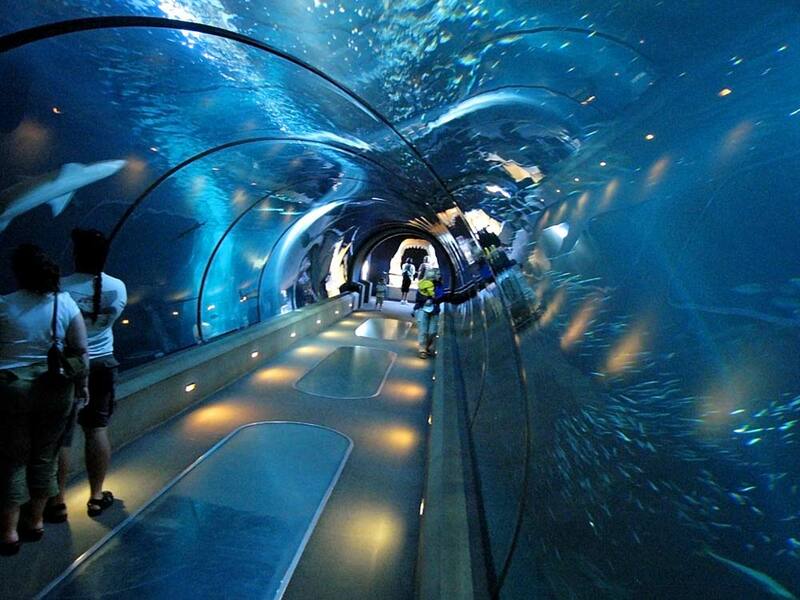 With 2 million annual visitors, it was the most visited aquarium in the U.S. in 2005, and in 2007. The aquarium received awards for best exhibit from the Association of Zoos and Aquariums (AZA) for Seahorse Symphony in 1999, Amazon Rising in 2001, and Wild Reef in 2004. 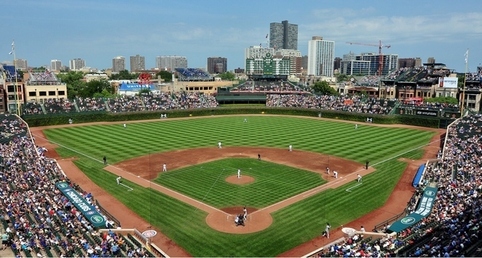 Wrigley Field, which was built in 1914, will be playing host to Major League Baseball for the 100th season in 2014 -- and to the Cubs for the 98th year. 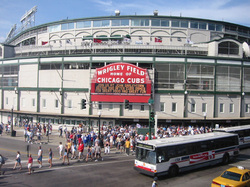 Find out all about the Friendly Confines and its history of memorable events. You will enjoy this exciting opportunity to go behind-the-scenes of the legendary home of the Chicago Cubs with Wrigley Field Tours. The tour will include the Seating bowl, the Press box, the Bleachers, the Visitor's clubhouse, the Cubs' clubhouse, the Cubs' dugout and of course, the Field itself. Wow, what a unique treat! 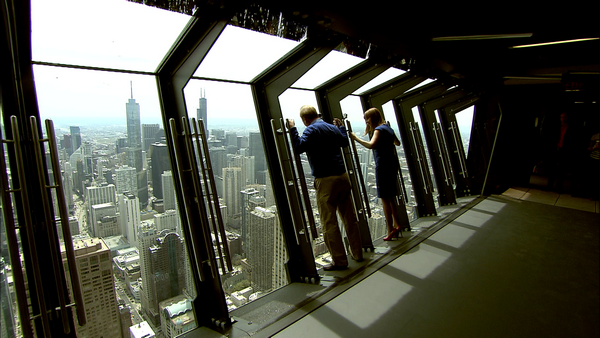 Your tour includes the ride to the observation desk of the John Hancock Tower to give you a bird's eye view of all of Chicago and Lake Michigan. Also included in the tour is a one-of-a-kind experience on TILT! TILT is an enclosed, glass and steel moveable platform that holds up to eight visitors at a time. Once safely situated inside, the platform slowly tilts outward to an adventurous angle, generating downward-facing views of Chicago – from one thousand feet above The Magnificent Mile. TILT gives thrill-seekers an exciting and safe way to take in unsurpassable views of the city, from a never-before-seen angle. 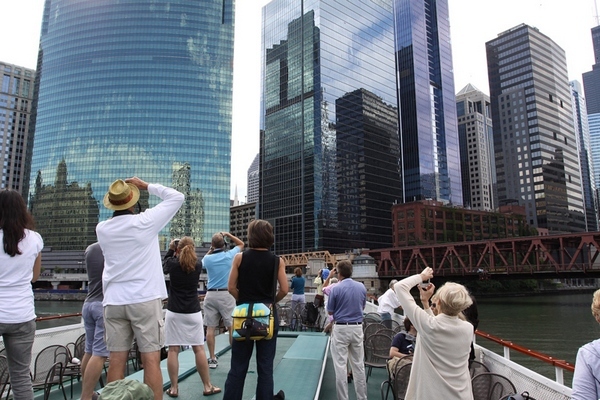 An expert architecture tour guide leads you through all three branches of the Chicago River. 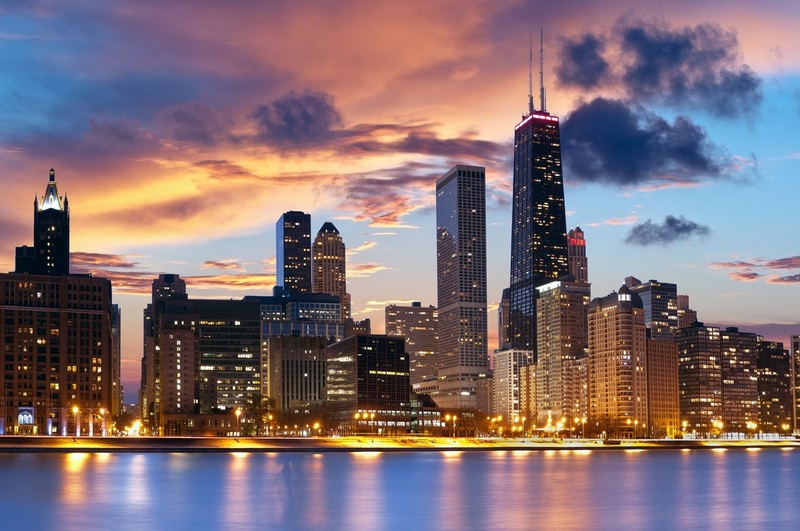 This 75 minute tour highlights Chicago’s rich architectural heritage, with dramatic views of residential and office buildings along the river. During this tour you will discover a wide range of architectural styles designed by notable architects Mies van der Rohe, Bertrand Goldberg, and Skidmore, Owings and Merrill. This tour is suitable for everyone, especially those interested in the architectural history of Chicago. Founded by Doc Pellegrino in 1968, Kingston Mines is the largest and oldest continuously operating blues club in Chicago. Its two stages have been graced by the likes of Magic Slim, B.B. King, Carl Weathersby, and scores of other musical greats, and are packed with the finest nonstop blues action seven nights a week. 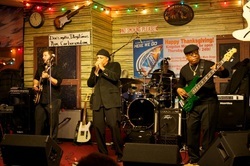 Kingston Mines has been the recipient of numerous awards over the years, including the 2014 Keeping the Blues Alive Award for Best Blues Club, the Best Blues Club award at the 2012 Chicago Music Awards, and a special Producer's Award presented to Doc at the 2011 CMAs. What keeps the Kingston Mines alive today, is the same thing that allowed its birth in the stormy 1960s... Doc's passion. Whether for blues music or civil rights (Doc once marched with Dr. Martin Luther King, Jr.), Doc's intensity and absolute resolve, propel things forward. In addition to the live blues music, you will also get to enjoy some delicious Southern-style BBQ fare from Doc's Rib Joint. Dinner and live music is included in this visit. And remember their motto: HEAR BLUES - DRINK BOOZE - TALK LOUD - YOU'RE AMONG FRIENDS! Should be a fun night!